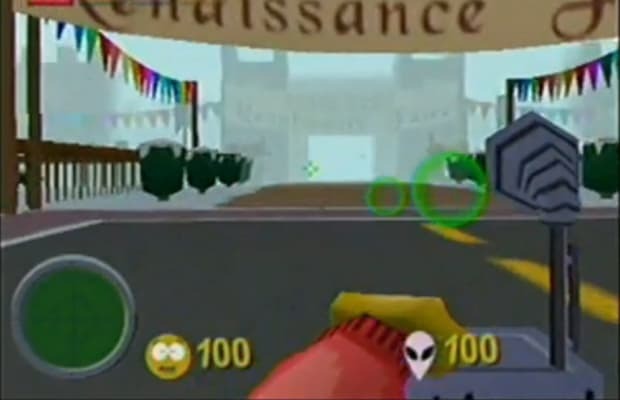 Even better than the Super Sniper Chicken is, of course, South Park's Alien Dancing Gizmo. As self-explanatory as that title is, we'll give you the rundown anyway. It's alien technology that makes your enemies dance. And dance. And dance. Then you can either run right past or throw a Canadian fart grenade at them to finish them off. That's what kind of game that was.